Properties in Blackpool average 4.6 out of 5 stars. 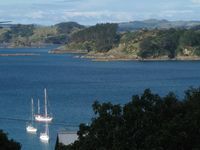 Property 9: ONEROA HOLIDAY HOME WITH SEA andamp; BUSH VIEWS!! The perfect weekend getaway in this romantic bach. Property 34: The perfect weekend getaway in this romantic bach. Property 47: A few minutes from the main village of Oneroa. 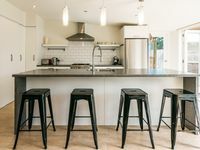 Property 50: Apartment Central Oneroa, Amazing Ocean Views. This is a beautiful property, spacious but cosy lounge. Functional indoor, outdoor flow between the kitchen/second living area and the deck. The kitchen is equipped with everything you need to cook a meal including a Nespresso machine. Easy walk to town. Would recommend this property!